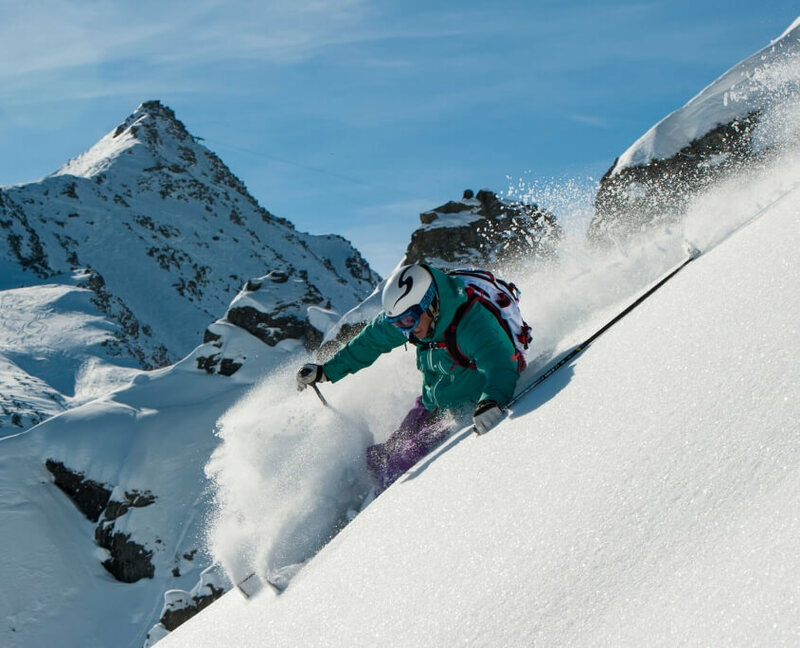 Want the skills necessary to explore all of Verbier’s glorious terrain? My performance ski lessons are designed to improve your technique and confidence as quickly as possible, so you’re ready to enjoy the classic itineraries of Verbier and the 4 Vallées. 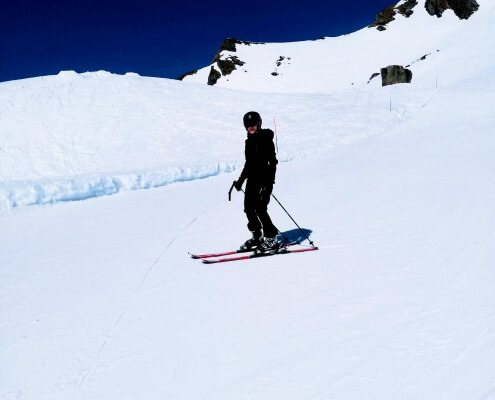 I offer performance ski lessons for up to four skiers – helping you all to improve your skills and hone your technique. If you’re thinking of booking, then I recommend a sequence of lessons, so that you can practice your new skills again and again and really consolidate the learning. Is this ski lesson for you? 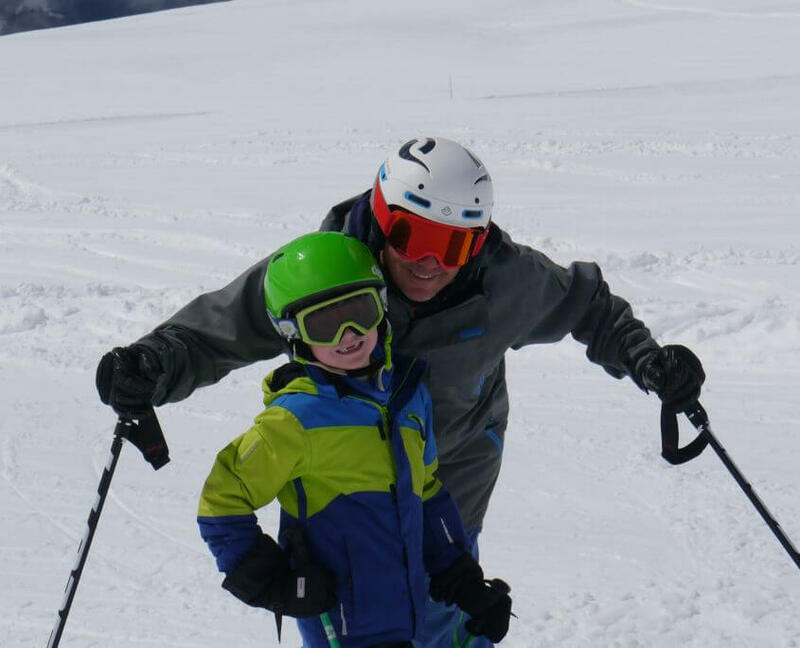 If you can ski blue runs with confidence, have had some success on red runs and have possibly started to explore ungroomed terrain in Verbier and the 4 Vallées, then performance lessons are ideal for you. Develop skills needed to ski all groomed terrain. Boost your ski performance in any and all terrain. Learn with an experienced ski instructor with 20 plus years. Discover some of the classic 4 Vallées ski terrain. I need just one thing from you – and that’s a positive mind set! I recommend booking a sequence of lessons, so that you can learn, consolidate and test out the changes you have made. 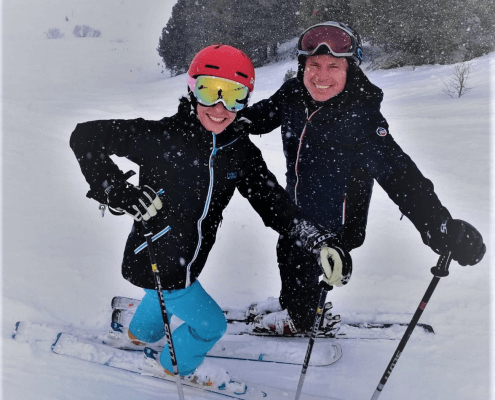 If you need help choosing which private ski lesson is right for you, please get in touch – I’d be happy to discuss your needs and talk about Verbier. Another amazing week in Verbier - Empty slopes and great snow.